Last week’s economic reports were in short supply due to the Christmas holiday. Events reported included Case-Shiller home price indices, pending home sales and weekly readings on mortgage rates and new jobless claims. Consumer confidence was also released. Case-Shiller’s October readings for its home price indices showed continued growth in home prices. In spite of rising home prices and mortgage rates, high demand for homes and slim supplies of homes for sale continued to fuel higher home prices. According to Case-Shiller’s national home price index for October, home prices rose 5.60 percent on an annual basis as compared to September’s reading of 5.40 percent. The 20-city home price index rose to 5.10 percent from September’s reading of 5.00 percent. Case-Shiller’s 10-city index also gained 0.10 percent in October with a reading of 4.30 percent year-over-year. Seattle, Washington, Portland, Oregon and Denver, Colorado had the highest year-over-year home price gains in October with readings of 10.70, 10.30 and 8.30 percent respectively. David M. Blitzer, Managing Director and Chairman of the S&P Indices Committee, said that “Home prices and the economy are both enjoying robust numbers,” but he also cautioned that rising mortgage rates and home prices growing faster than wages continue to pose obstacles for some home buyers. The Federal Reserve is expected to raise its federal funds rate in 2017, which is expected to prompt rising mortgage rates. Pending home sales fell 2.50 percent in November. Analysts said that post-election reaction helped to drive mortgage rates higher, which made homes less affordable for first-time and moderate-income buyers; Sellers and buyers may have postponed decisions to sell or buy as they waited for volatile post-election responses to ease. According to the National Association of Realtors®, pending home sales fell to their lowest level in almost a year with an index reading of 107.30 in November. September’s reading was 110.00. The holiday season and rising mortgage rates were seen as contributing to fewer pending home sales. Freddie Mac reported the ninth consecutive week that fixed rate mortgages rose. In the final mortgage rates survey for 2016, the average rate for a 30-year mortgage rose two basis points to 4.32 percent; the average rate for a 15-year fixed rate mortgage was three basis points higher at 3.55 percent. 5/1 adjustable rate mortgage rates averaged 3.30 percent, which was two basis points lower than the prior week. Discount points averaged 0.50 percent for all three mortgage types. New jobless claims were lower last week with a reading of 265,000 new claims filed. Analysts had expected 270,000 new claims filed based on the prior week’s reading of 275,000 new claims filed. In spite of rising home prices and mortgage rates, consumer sentiment was higher than expected in December with a reading of 113.70 as compared to expectations of 110.00 and November’s reading of 109.40. Next week’s scheduled economic reports include Labor Department releases on Non-Farm Payrolls, and the national unemployment rate. 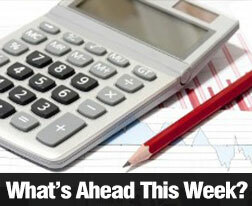 ADP payrolls and weekly readings on mortgage rates and new jobless claims will also be released. Financial markets will be closed on Monday in observance of New Year’s Day.